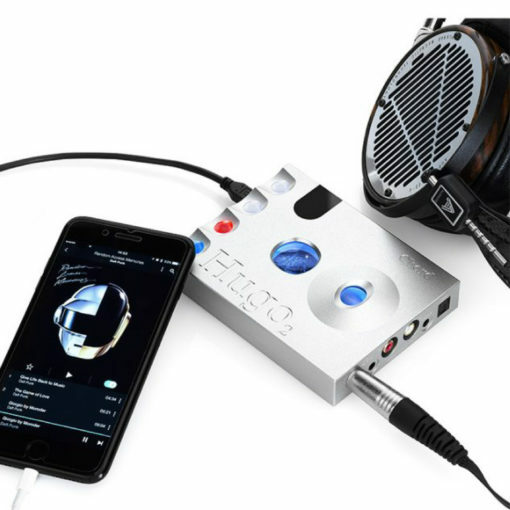 In 2014, Chord introduced Hugo, a revolutionary portable DAC and headphone amp that became a landmark product in the audio landscape. Advances in digital technology, including the latest FPGAs and WTA (Watts Transient Aligned) filters, have enabled them to introduce a next-generation version, HUGO 2, featuring flexible new features, plus next-generation technical and sonic performance. Hugo 2 can be used both at home and on-the-go, either with headphones or within a conventional audio system. Its line-level output and full-function remote control adds real flexibility in full-size and desktop systems.